Joe Driscoll has gained fame over the last decade for his unique blend of folk, funk and hip-hop. Sekou Kouyate, from Guinea, is one of the most innovative and virtuosic players of the kora, the 21-stringed West African harp. When these two seemingly disparate artistic forces are combined, an incendiary musical reaction takes place. "Tokira" is Monistic Theory's sing along anthem, the song that will have lighters held high at future concerts. With "Tokira," Sekou reveals he is not just a kora virtuoso, he's also a talented songwriter with a gift for crafting a great melody. Driscoll's lyrics give the song added poignancy, as he reflects on what his 10-year old self would think about where life has taken him so far. New album Monistic Theory to be released May 13th on Cumbancha. Joe Driscoll has gained fame over the last decade for his unique blend of folk, funk and hip-hop. Sekou Kouyate, from Guinea, is one of the most innovative and virtuosic players of the kora, the 21-stringed West African harp. When these two seemingly disparate artistic forces are combined, an incendiary musical reaction takes place. "Our styles are totally different but complementary," Driscoll explains, "It's like putting baking soda and vinegar together." 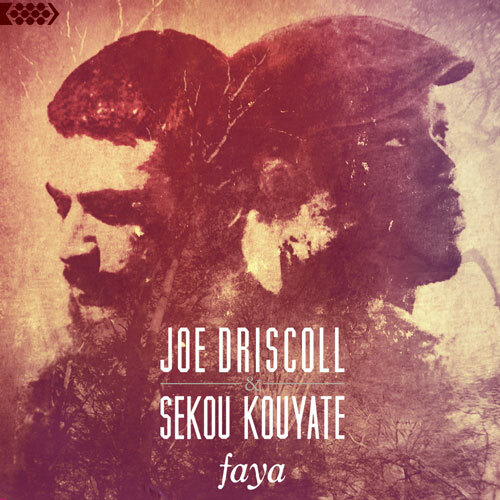 Joe and Sekou first met in 2010 at a festival in Marseille, France and this explosive combustibility was evident in their jaw-dropping live shows and energizing debut album, Faya, which was released by Cumbancha Discovery in 2014. Performing as a quartet, backed by drums and bass, Joe & Sekou have performed at hundreds of festivals and venues across Europe, North America and Africa, earning rave reviews whenever they set foot on stage. 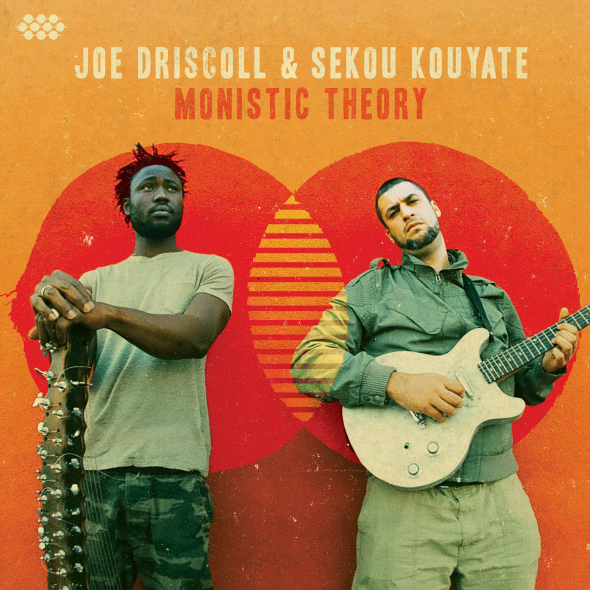 Joe & Sekou's sophomore album, Monistic Theory was recorded at the Cumbancha studios in Vermont during one of the coldest winters on record. 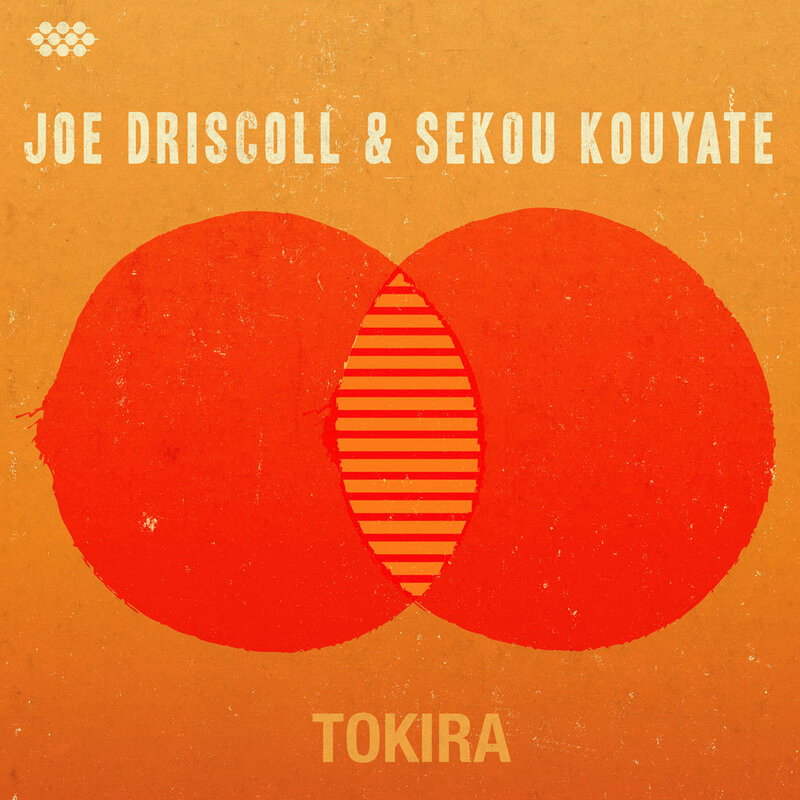 While the weather outside was frightening, the studio was ablaze with Kouyate's scorching kora licks, Driscoll's lyrical acrobatics and the potent rhythmic underpinning of drummer Jimbo Breen and bassist John Railton. After years of presenting their high energy, broadly appealing show to stages across the world, the ensemble had settled into a deep groove. This dramatic evolution and solidification of their musical interaction is clearly evident on Monistic Theory, which features a selection of tight, catchy, and funky songs. The album opens prophetically with the sound of trickling water and the voice of Oren Lyons, a Native American author, activist and Faithkeeper from upstate New York, near Joe Driscoll's hometown of Syracuse. "Water is life, water is the foundation of life. It is life. We are water," muses Lyons. From there it's off to the races of the instrumental opener "Tamala," as Sekou Kouyate's fingers fly effortlessly across the kora like water trickling over rocks in a mountain stream. The album's second track, "Just Live" finds Joe Driscoll waxing poetic on his philosophy of life. "Now history's a mystery with the ages unsung / We've forgotten all of their myths, even our mother tongue / Some folks learn to compete, others love to create / Some could eat until content, and yet they leave a full plate … So keep your minds in the moment, the moment in the mind / Open the doors, raise the blinds, cause it's about time / Just live." Rarely has there been such a head-bobbing life lesson. "Tokira" is Monistic Theory's sing along anthem, the song that will have lighters held high at future concerts. With "Tokira" Sekou reveals he is not just a kora virtuoso, he's also a talented songwriter with a gift for crafting a great melody. Driscoll's lyrics give the song added poignancy, as he reflects on what his 10-year old self would think about where life has taken him so far. Other highlights on Monistic Theory include the jaw-dropping kora playing on "Barra" and the inspirational and timely call for unity on "Rising Tide," on which Driscoll sings over a children's chorus, "When we realize / There'll be nowhere to hide / They can't divide once they see we're all one tribe." Driscoll continues to provide words of wisdom on the dreamy jam "Badiya," reminding us "Whether you break or bend / Whether you fade or mend / The only true salvation is love in the end." The album ends with a live, instrumental cover of the Stevie Wonder classic "Master Blaster," although you've surely never heard it played quite like this before. Recorded in front of packed house at the Westcott Theater in Syracuse, New York on a hot summer night, the track demonstrates the remarkable musicianship and unstoppable groove of this astonishing pairing. The collaboration between a rapper/beatboxer/singer-songwriter from Syracuse, New York and an electrifying African kora sensation from Guinea pushes genre boundaries and earns raves across Europe.